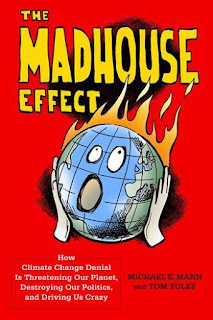 It was appropriate, if disconcerting, that I sat down to read “The Madhouse effect: How climate change denial is threatening our planet, destroying our politics and driving us crazy” (Columbia University Press, New York, 2016) on the day of the US presidential election. The book, by the eminent American climate scientist Prof. Michael E Mann and Washington Post cartoonist Tom Toles, is a short (150 pages plus notes), very readable overview of the climate denial and disinformation machine in the USA that is funded by the fossil fuel industry, with dark tentacles reaching into the highest level of politics, abetted by the conservative media and agents for hire who have peddled their denial across several industries and many decades. Mann is uniquely qualified to write in this area. 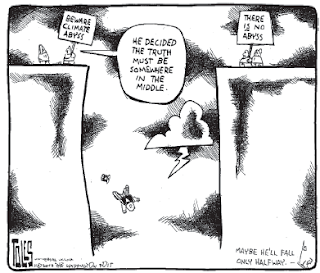 He has been in the front line of scientists standing up to the climate deniers’ attacks. He has given congressional testimony facing hostile, Republican-run committees; he has helped unravel the “climategate” email attack on scientists; and achieved a series of legal victories over former Virginia attorney general and climate denier Ken Cuccinelli. Having lost in the courts, Cuccinelli then ran for governor, only to be confronted by Mann linking up with Cuccinelli’s opponent on a public “science week” campaign tour. Cuccinelli lost and then, ironically, “opened an Oyster farm on Tangier Island, an island in Chesapeake Bay slowly being inundated by global sea-level rise”. In neighbouring Virginia, the anti-science fervour led state Republicans to try outlaw climate model predictions of accelerating sea-level rise. Yes, you heard it right, laws to outlaw science. Florida has more than 1900 kms of coastline and five million residents who would be displaced by a three-metre sea level rise, but that has not stopped Republican Governor Rick Scott’s banning the use of the terms “climate change” and “global warming” in all official state communications and publications. This is a war on scientists and a war on science, funded by billionaires and run by operatives unafraid to lie and smear. The onslaught has been so sustained that Mann identifies the “seepage” of denialist framing into the reputable media on such issues as the warming “pause” (that wasn’t), and the politics of false balance for two “equal” sides. This war is driven by two forces: ideology and money. The money trail has been well documented, from big oil, big ag-business and big tobacco into fronts where lobbyists and third-rank scientists sell their souls for a living. But a driving force is also free-market fundamentalism and strong opposition to government regulation, with climate change action being just the latest manifestation of an imaginery “big brother”. The book takes time to demystify the denier’s tools of trade: assigning motives and conspiracy theories, cherrypicking data and gross simplification, far-fetched hypotheticals and publicity stunts, hypocrisy, and focusing on minutia that obscures basic concepts. One of its strengths is to tell the stories of the prominent deniers, following the money and how many of them are guns for hire who have moved over time from tobacco to clean air to climate change. 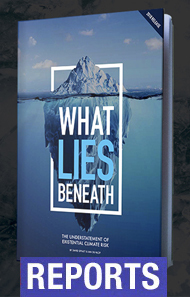 Balancing these stories are two very accessible chapters laying out the basics of climate warming science and the impacts, from food and water through health and biodiversity, to the economy and national security. For anyone writing or speaking on the issues, this is a useful reference guide. 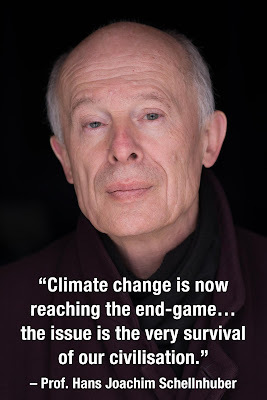 The authors make it clear that “it could reasonably be argued that dangerous climate change has already arrived” and that “we have already warmed around 1°C, and another 0.5°C is likely in the pipeline”. This is consistent with the science story I sketched earlier this year in “Climate Reality Check”. The book also takes time to explain the scientific method, where genuine skepticism (critical inquiry) is a necessary part of the research method, and how understanding is built. Published in September, the book’s final chapter notes that “The next (presidential and congressional) election is arguably a make-or-break election for the climate.” So the shadow of Donald Trump looms extraordinarily large. Trump's climate denial is not feigned, and he’s been tweeting about for for years: “The concept of global warming was created by and for the Chinese in order to make US manufacturing non-competitive”, Trump tweeted on 6 November 2012. Trump has affirmed his climate denialism in a closed door meeting with the Washington Post editorial board. Then, there is the crude former Breithart News boss, Steve Bannon, who has been made chief strategist on equal standing with the chief of staff, Republican Party boss Reince Priebus. Bannon is a former naval officer, investment banker and committed free-market ideologue. Under Bannon, Breithart described climate activists ("believers") as “pure scum”. He is committed to tearing down Obama’s climate achievements, including the Paris Agreement. The neoliberal think tankers are now swarming round this hollow man (Trump), this empty vessel waiting to be filled by those who know what they want. The likely result is the demolition of our remaining decencies, beginning with the agreement to limit global warming. There is much Trump has said but now cannot do because the Republicans are the party of big oil, big coal, big defence contractors and big business, and Trump will be taken out one way or another if he acts contrary to top-of-town interests too often. Trump is already backtracking on many policies that would be too costly, or too damaging to trade and national security. But his policies to void climate action are low cost and appeal to both the Tea Party and Trump voter bases, and to congressional Republican insiders. There are limits to what a federal US government can do, because significant power resides with the states and cities and their climate programs. Trump cannot change the laws of physics, nobble Tesla, fix the woes in the global coal market, nor stop the revolution caused by the astonishing and continuing tumble in prices in the solar cell and battery storage sectors. But he can do immense damage to domestic programs and the international mood. It has been reported that Trump will halt climate activities but not move to revoke wind and solar subsidies. Will Trump go rogue on climate? Mann and Toles have shown how this moment has arrived, with the war on science, the funding of denial fronts and lobby groups, the direct bribery of politicians, and the role of conservative media. 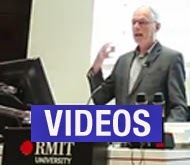 “The US will become a pariah when Trump pulls out of the Paris Climate Agreement and the trade war he campaigned on will be all but guaranteed”, says Washington insider Joe Romm. If Trump goes rogue on climate, all those nations who have invested so much in the international climate policy processes over two decades will not let it die easily. French conservative presidential candidate Nicolas Sarkozy has promised to hit America with a carbon tax if Trump rips up landmark Paris climate deal. How will China (facing a possible trade war) and the Europeans (facing an economically illiterate president sceptical about NATO) respond to American isolationism on climate? They will not let Trump off the hook, and a trade war may just be the beginning. All of which suggest this valuable book will soon need a second edition, on how climate denial wormed its way to the West Wing White House, and the as-yet-unknowable consequences that will reverberate globally. The issue is not about the science, but about the power of vested interests, the debasement of politics, and a White House that has, as in the title of this book, become a madhouse.